Why use a Paraben and Sulfate free Shampoo? Flip the bottle of the current shampoo that you are using to check the ingredient list. Do you find methyl , propyl paraben or ethyl paraben and another ingredient called SLES? Parabens are used in products to prevent the growth of microbes. They are usually added to products that contain a lot of water like shampoos, lotions, scrubs and conditioners. They are also added to many food items. 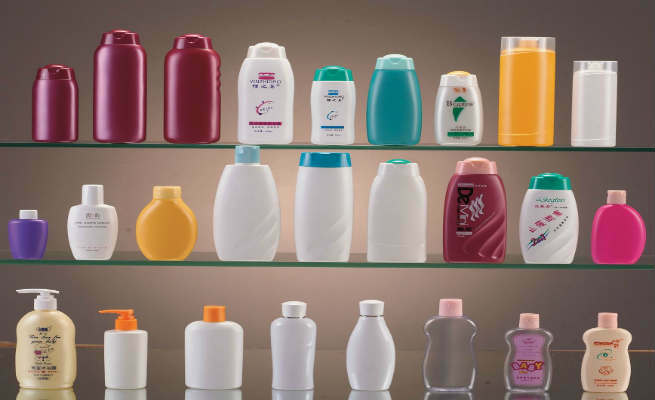 SLES (Sodium Lauryl Ether Sulfate) and SLS ( Sodium Lauryl Sulfate) are surfactanst and detergents that is used in many of the foaming products, again, such as shampoos, soaps and toothpastes. Both parabens and sulfates are inexpensive and hence are extensively used in bottled products like shampoos. So why use a Paraben and Sulfate free Shampoo? Shampoos need to have a good lathering ability and hence sulfates are added to them. Parabens help increase the shelf life of shampoos. Now what is wrong with the two products? Why do we hear so much noise about parabens and sulfates free products these days? Studies have shown that parabens tend to emulate estrogen in the body. When products with parabens come in contact with the body, they have the same effect on the body as that of incresed estrogen levels thereby disrupting the natural endocrine system of the body. This can result in increase in the size of breasts or early onset of puberty among children. Some experts argue that this is something that occurs due to prolonged exposure to high levels of parabens. Yes, there is a cap on the limit or concentration of parabens in a product such that it would not harm the body and all reputed brands which are FDA approved remain well within the limit. But please do stop and consider the fact that it is not just that one shampoo which is exposing you to parabens, but also your soap, your body lotion, your night cream, why, even a lot of food items have parabens in them. Think of the effect from all those products put together, on the body over a duration of time! Parabens is one such substance. Coming to sulfates, they are nothing but detergents in the shampoos that help in attracting the dirt towards them and then washing the dirt away with them. Sulfates in this process not just remove dirt but also loosen the hair follicles leading to hair damage and hair loss. Prolonged use is also said to be carcinogenic. Sulfates irritate the skin and eyes too. After reading the ingredient list, would you pour the contents of your shampoo bottle into your mouth? No, right? Then with what confidence do you put it on the hair? That it is external use? Do remember that once you put on all these chemicals on the hair and the body, they somehow find their way into your bloodstream. So the answer to the question as to why use a paraben and sulfate free shampoos is that you use it to prevent toxicity in your body. There are many shampoos being sold these days that are labelled paraben-free and sulfate-free. They have natural alternatives like grape oil to work as a preservative and natural saponifiers for the lather. Better still, turn to natural shampoos that will ensure healthy hair and a happy body!